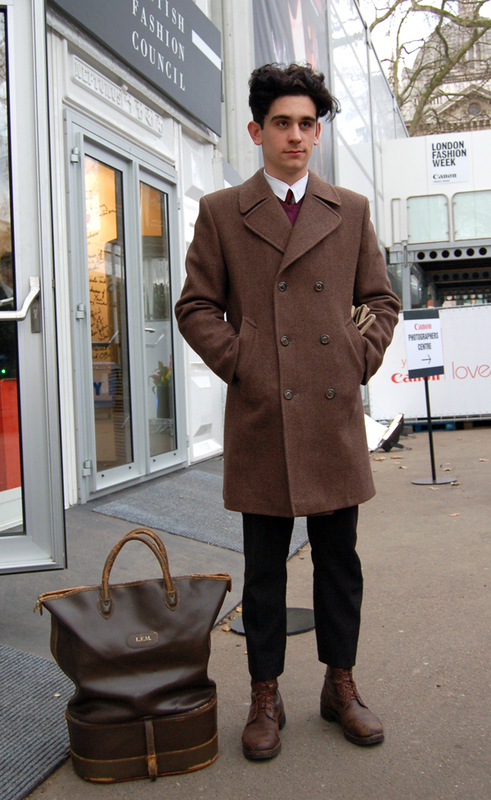 We saw a lot of red both on the catwalk and around the tent. I spotted this woman leaving the tent in a hurry in a great red coat. I asked who had designed it and when she said “I did” I had to ask who she was… it turned out she is Ann Louise Roswald the British fashion designer. A fierce ensemble complete with the fierce hairstyle. 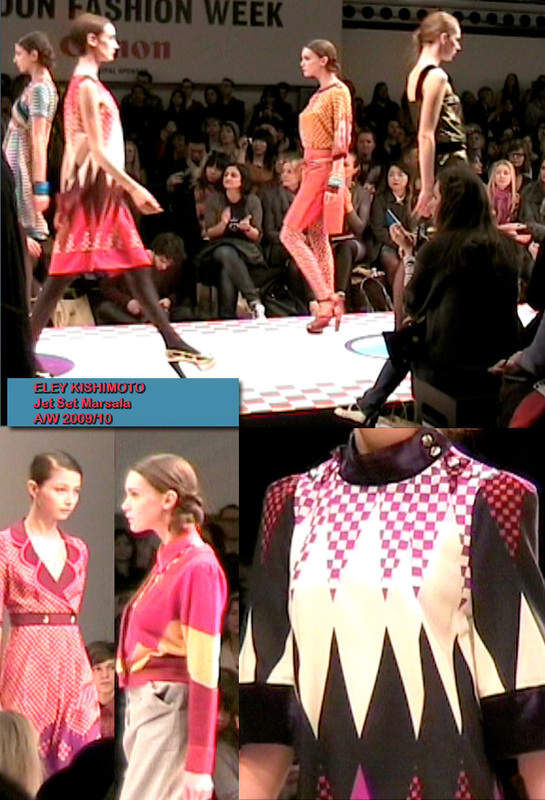 ELEY KISHIMOTO A/W '09 from The Style Scout on Vimeo. 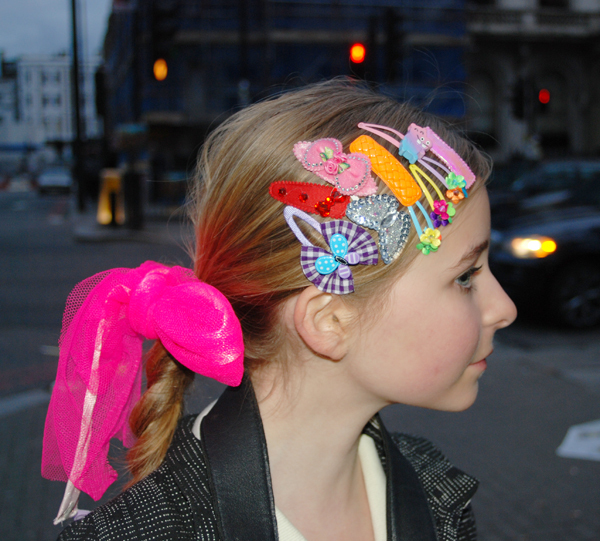 Girls still want to have fun...As it is London and fashion after all! 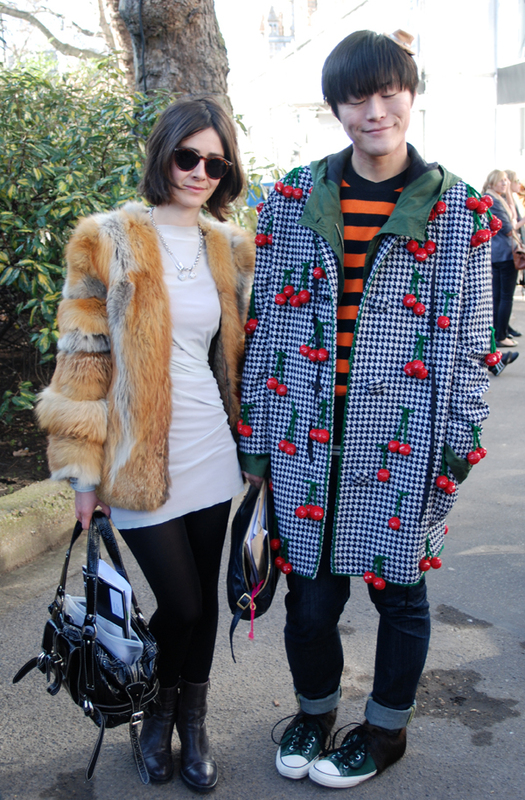 We saw a lot of fun fur and associated fabrics from berets to boas…. 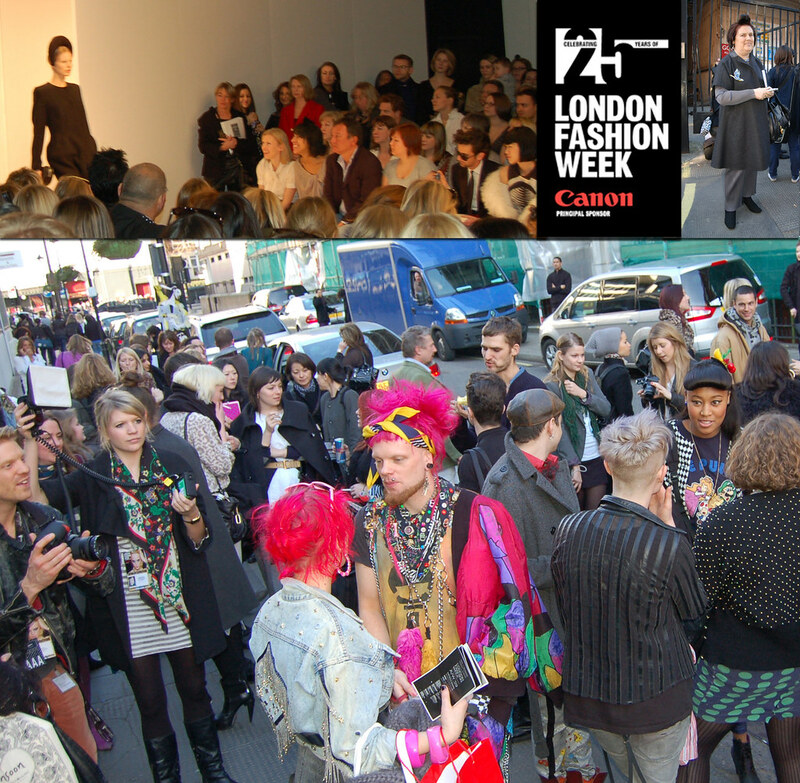 We were delighted to attend the second day of London Fashion Week, and had nice seats at John Rocha, one of the UK’s truly talented high fashion designers. 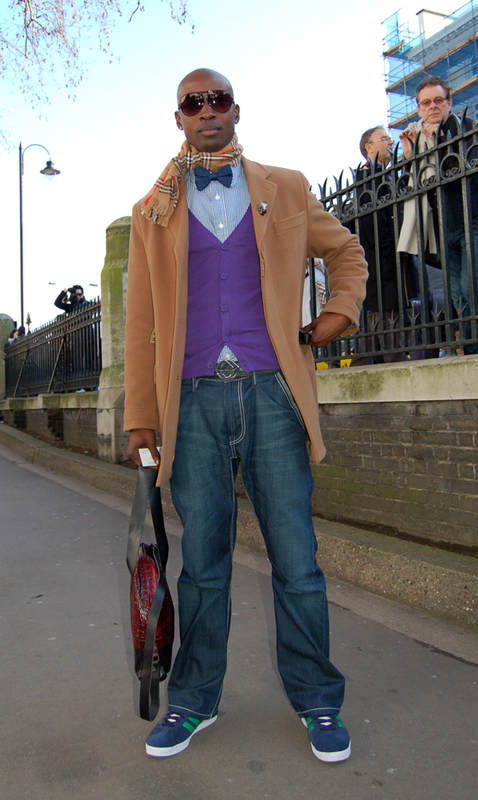 Naturally, this category of design usually focuses on cut and silhouette using a simple colour palette anchored in black, white, beige, taupe or the grey’s and I gasped when unexpectedly, the first of a fabulous group of bright orange pieces, which he called geranium red, hit the catwalk. 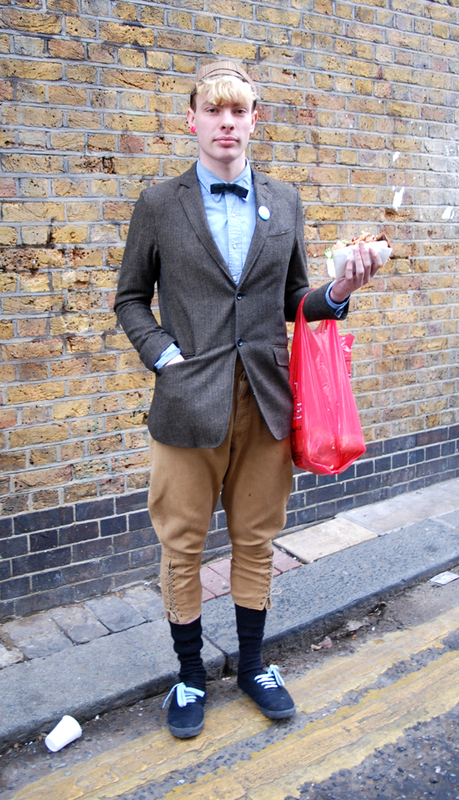 At the conclusion of the Topshop event we caught up with old friends and subjects we have photographed before. 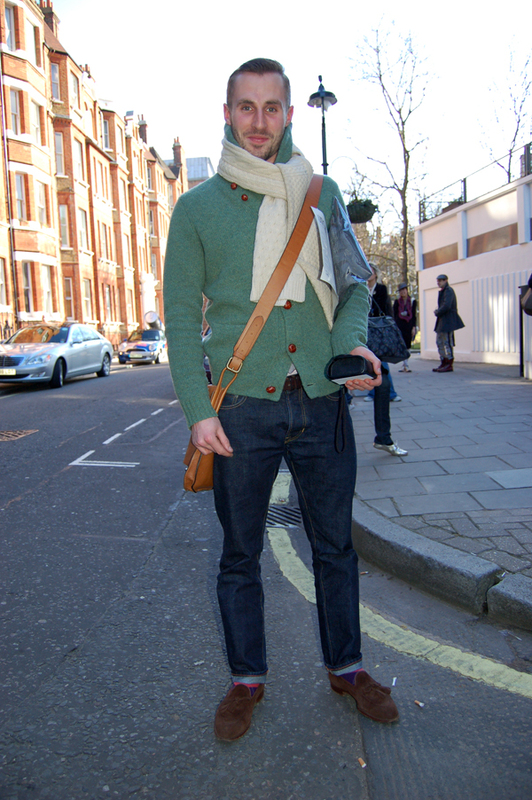 Susie Bubble was there, looking fabulously stylish as usual and we discussed the new magazine LOVE. 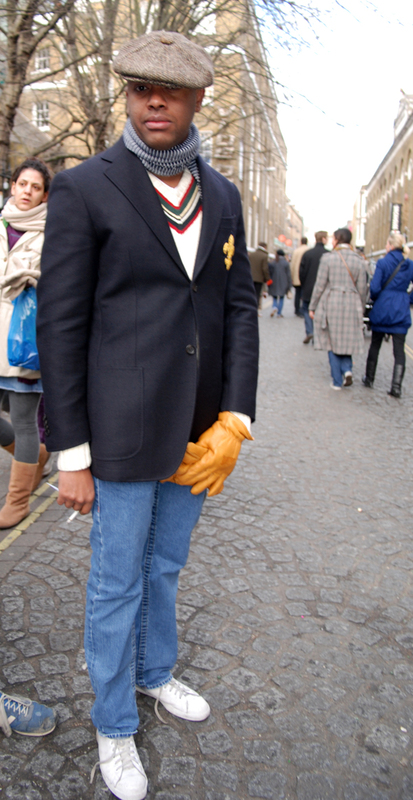 Talking of LOVE, Phoebe Arnold who we met when she was at Pop magazine, and who you may recall we photographed back then is now a fashion editor at LOVE and posed for us again. I also introduced myself to Pixie Geldof, who initially caught my attention because of her great eye makeup and is not only very stylish but also very nice and was kind enough to pose for a photo. The excitement this week in the run-up to London Fashion Week is the launch of LOVE magazine whose first edition hit newsstands yesterday. It is another creation of Katie Grand who gave us Pop, the first super-glossy magazine. Already, the excitement has spread to Paris, with a window at Collette taken over to push their sales of the magazine and a special collector’s T-shirt. 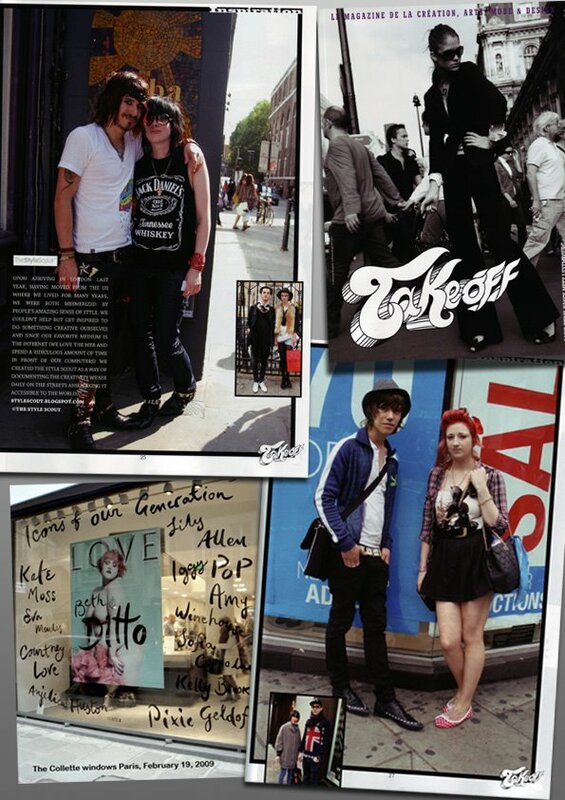 However, we are much more excited at Style Scout because this week in Paris Takeoff Magazine featuring a spread of our photographs is also hitting the newsstands. So if you’re picking up a copy of Love, also pick up Takeoff! 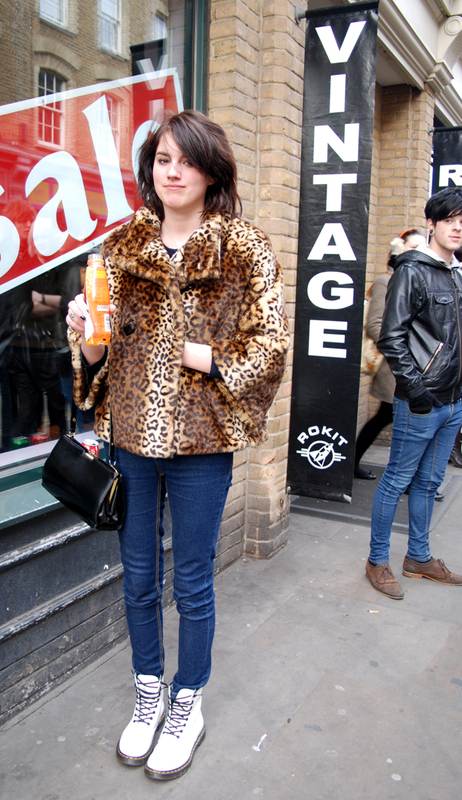 The vintage leopard print jacket and the white Doc Martens. 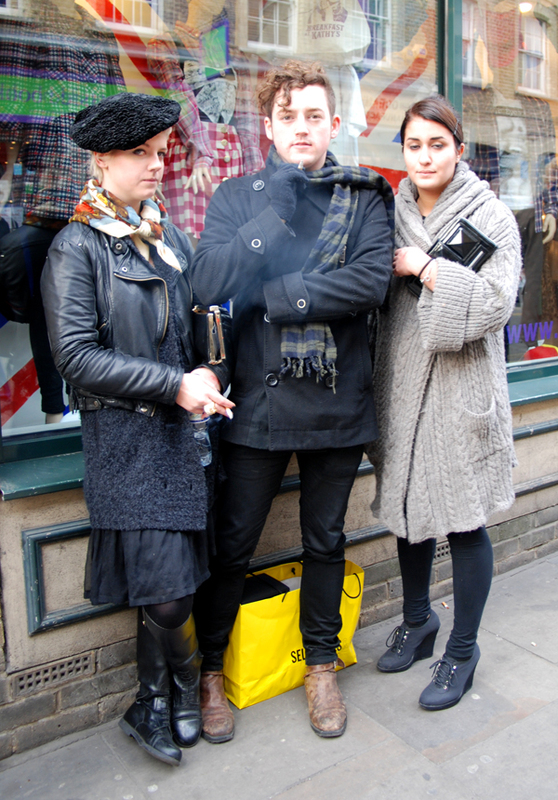 A stylish trio on a cold day in Brick Lane. This gentleman was so elegant, but to capture this photo was really difficult because as you will see from the photo below, a crazy attention-seeking joker would jump into the frame every time we tried to take the photo. The subject was becoming very irritated, which only energised the joker.